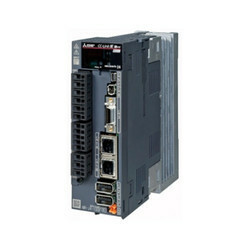 Pioneers in the industry, we offer mr-je_as ac servo, mr-je-b ac servo, mr-je-c ac servo, mr-je-a ac servo, mr-j4_a series ac servo and mr-j4_b ac servo from India. We offer MR-JE_AS AC Servo to our clients. One-touch Tuning: Servo gains are adjusted with one-touch ease without a personal computer. The machine resonance suppression filter and the vibration suppression control filter are also automatically adjusted. Advanced Vibration Suppression Control: Low-frequency residual vibration, etc., generated in a machine are suppressed easily. Fast and Accurate: The dedicated engine enables speed frequency response of 2.0 kHz, shortening the cycle time. High Resolution Encoder: The servo motor is equipped with 131072 pulses/rev (17-bit) highresolution magnetic encoder, achieving high accuracy. Energy Conservation: The large capacity main circuit capacitor allows the regenerative energy to be used effectively, reducing energy consumption. 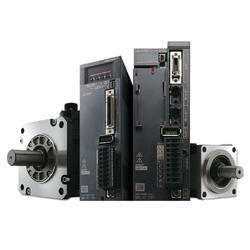 Compliance to Global Standards: Global servo, MR-JE series, complies with global standards as standard. 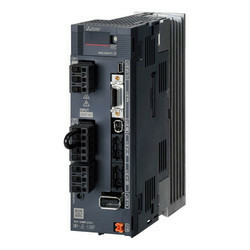 Sink and Source Connections: Command pulse input and digital input/output are compatible with both sink and source type connections. Global Support: FA Centers located throughout the world provide attentive services to support users. Servo gains are adjusted with one-touch ease without a personal computer. The instantaneous power failure tough drive function and the large capacity capacitor reduce machine downtime. Absolute position detection system can be easily configured with MR-JE-B servo amplifier. MR-JE-B is compatible with 150 Mbps full duplex high-speed optical network SSCNETIII/H, achieving high-response system. Absolute position detection system can be easily configured with MR-JE-C servo amplifier. 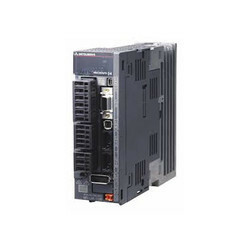 MR-JE-C is compatible with CC-LINK IE Field Basic Network, achieving high-response system. MR-JE-A has a built-in positioning function, enabling positioning operation with point table method, etc. Equipped with advanced functions such as simple cam and mark detection. MR-J4-A has a built-in positioning function, enabling positioning operation with point table method, etc. Equipped with advanced functions such as simple cam and mark detection. 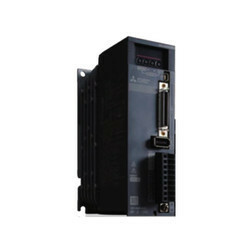 We offer MR-J4_B AC Servo to our clients. MR-J4-B is compatible with 150 Mbps full duplex high-speed optical network SSCNETIII/H, achieving high-response system. We offer MR-J4_GF AC Servo to our clients. Absolute position detection system can be easily configured with MR-J4-GF servo amplifier. MR-JE-C is compatible with CC-LINK IE Field Network, achieving high-response system.